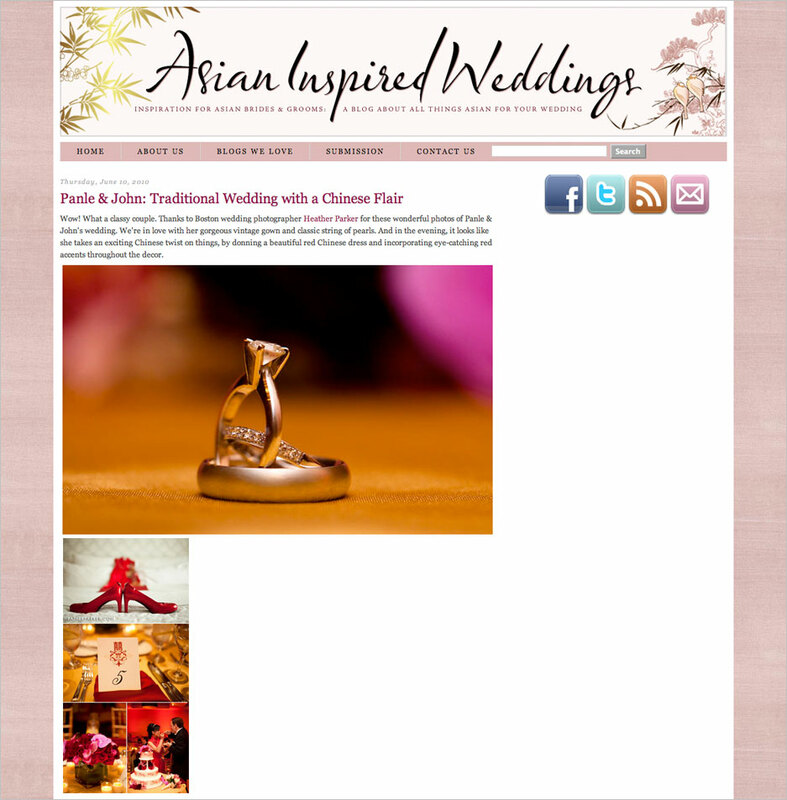 Resources for asian brides is what Kim Liu provides in the Asian Inspired Weddings blog. She reached to me to feature John and Panle’s wedding which has many Asian-inspired wedding details, colors, and symbols. In this wedding, traditional colors of red and gold were seen throughout the reception. Since the couple had a wedding that tied together both eastern and western culture, the bride wore a traditional white wedding gown walking down the aisle but symbols of double happiness were seen throughout the remainder of the wedding. To go along with the reception qipao or cheongsam, the bride wore a shiny pair of red shoes. This blog is a great resource for anyone interested in drawing influences from Chinese, Japanese, or other Asian cultural or religious traditions into their wedding. Asian Inspired Weddings is the ultimate planning resource for Asian brides and grooms or anyone who is a fan of Asian culture. It showcases he most beautiful, unique, and creative Asian weddings including ideas about Asian fashion, beauty, decorations, favors, food, and traditions. If you would like to see more Asian weddings including Chinese, Taiwanese, Korean and other similar weddings please check out the links below to blog posts I think you’d be interested in.